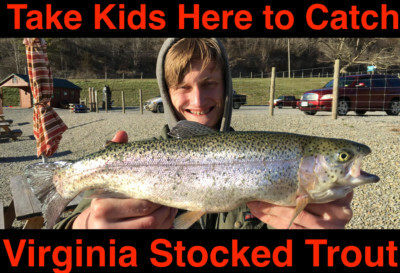 Trout stocking continues strong in North Carolina and with delayed harvest waters opening to bait this past weekend anglers have an endless amount of opportunities to catch trout in the western part of the state. Almost as far west as you can go, Big Snowbird Creek remains an overlooked year-round trout fishery that caters to locals and vacationers from across the southeast. Big Snowbird is the most heavily stocked system in Graham County. The creek consists of two main sections: the hatchery supported and delayed harvest. Meanwhile, as of last Saturday, both are open to bait, lures, flies, etc. This leaves many miles of fishable water to keep day users and campers busy. 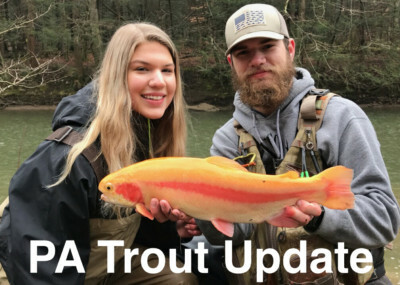 Between the two stretches more than 20,000 pounds of trout are stocked from March through early July and then another couple thousand in October and November. Most are rainbows and brook trout, although a fair number of browns are stocked, too. The average trout in 10-12 inches. If you’ve fished the greater Asheville area, the Pisgah National Forest and in the Waynesville Region expect Big Snowbird to show a different face. Nestled in a deep, forested area, Big Snowbird has a higher gradient that you’d expect and more large boulders, big, clear, deep pools and lots of tumbling water. 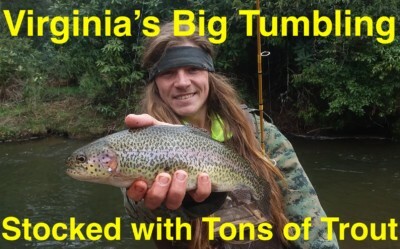 It’s one of Carolina’s more scenic waters and also harbors willing rainbows, browns and brook trout. That also brings good and bad news. The good is there’s lots of trout available. On the other hand, gaining your own hole could prove tough on the weekends. Big Snowbird is popular for folks driving up from Georgia, South Carolina and Florida as well as extreme Western Carolina locals. The obvious roadside pull offs get fished the most frequently. If you’re willing to walk away from the road expect to get more bites. When coming to Big Snowbird be sure to arrive with light line. Those using six-pound test, and heavier, are going to struggle to get bit. This is a clear mountain stream. Visibility is high. Four and even two-pound test is imperative. 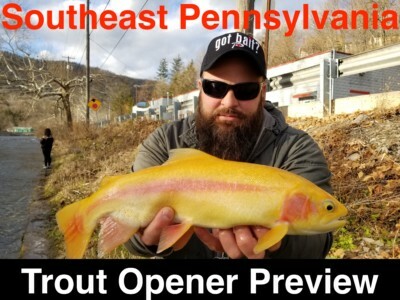 Most likely you aren’t going to catch any huge trout. There’s no reason to employ heavy line. We pitched two methods at the trout. From where the road turns from pavement to dirt on upstream to the bridge where the delayed harvest area begins we focused on salmon eggs, most notably Gold & Silver Label, Chartreuse Garlic, Natural Deluxe and Pink Shrimp. It didn’t take much to catch plenty of trout on all of them when drifting them under a Trout Magnet float with a few Water Gremlin BB split shots. Size 10 to 12 Eagle Claw single salmon egg hooks were enough to get the job done. Meanwhile, as we migrated downstream along the paved highway we switched to Fire Bait. I’m sure eggs would have still worked. However, we were now stumbling upon large, deep, slow moving holes. In one hole we caught a dozen rainbows on Rainbow, Feed Pellet Brown and Peach Garlic Fire Bait in less than 30 minutes by simply casting the bait into the current and letting it float off the bottom. 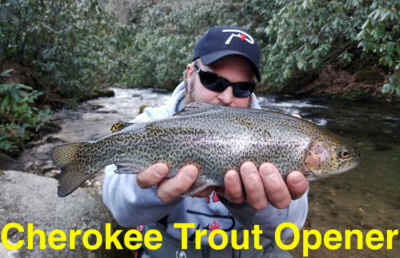 Editor’s Note: For more information on Big Snowbird Creek please visit the North Carolina Wildlife Resources Commission’s trout info page http://www.ncwildlife.org/Fishing/HatcheriesStocking.aspx. The nearest city with supplies is Robbinsville. Team Pautzke filmed an episode of Pautzke Outdoors on Big Snowbird Creek. It will be live in July. Anglers may keep seven trout per day.